Couscous Oriental. Vegetarian Dish. Front View. Foto Royalty Free, Gravuras, Imagens E Banco De Fotografias. Image 93373644. 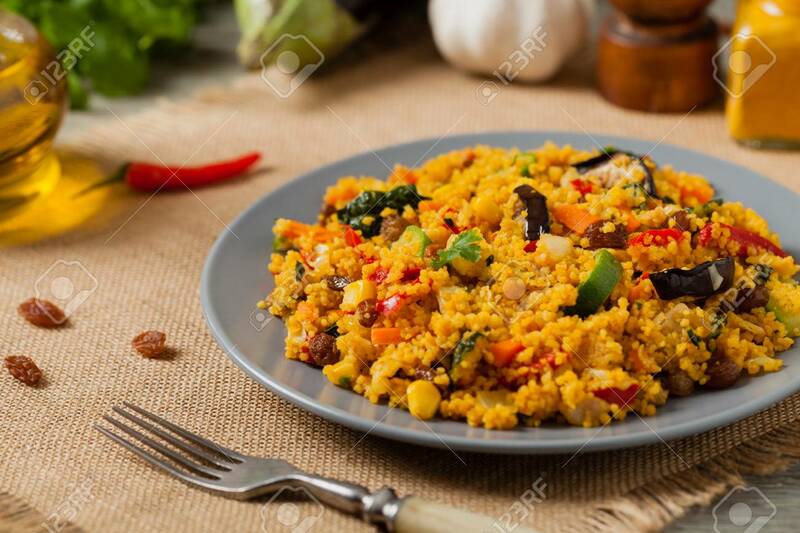 Banco de Imagens - Couscous oriental. Vegetarian dish. Front view.